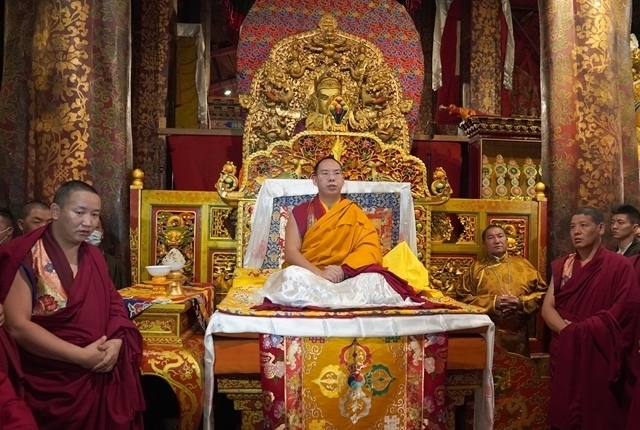 Premier Li Keqiang visited Tibetan religious patriots at Jokhang Temple in Lhasa, Southwest China’s Tibet autonomous region, and extended his sincere greetings and best wishes on July 26. 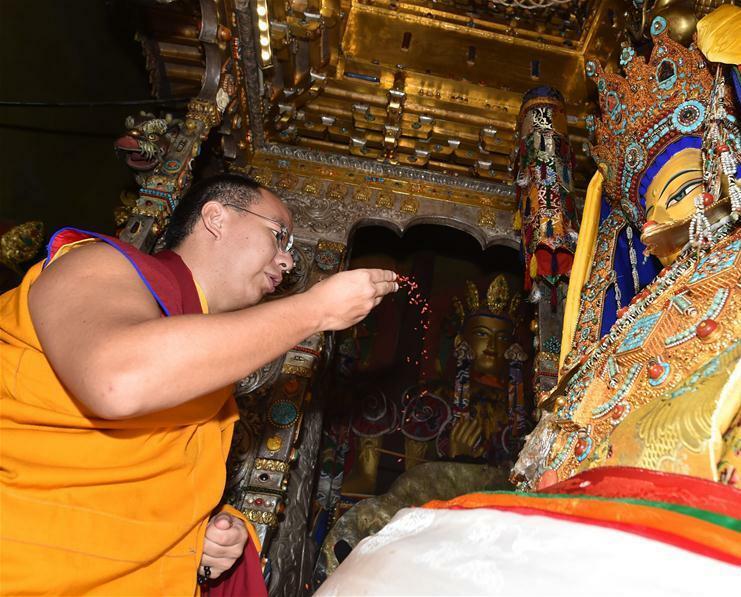 Built in ancient Tibetan times, Jokhang Temple was the holy hall of Tibetan Buddhism and a witness to the peacemaking marriage between Han and Tibetan ethnic groups and to the history of ethnic solidarity, said Premier Li. 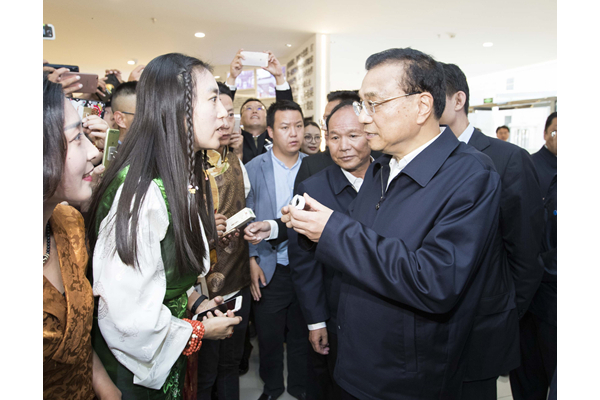 On July 27, Premier Li Keqiang inspected an innovation center at Liuwu new district in Lhasa, Southwest China’s Tibet autonomous region. 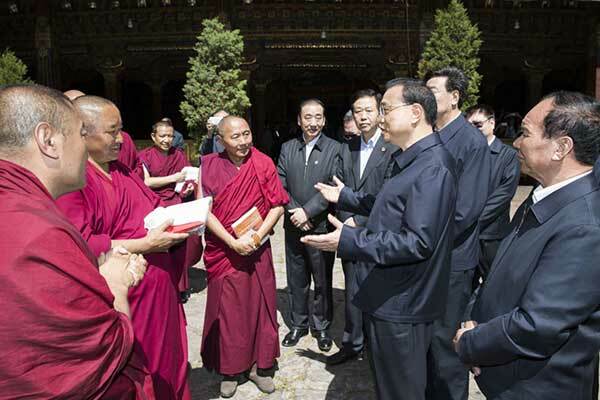 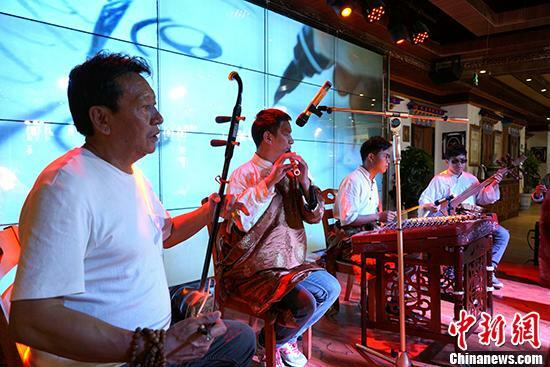 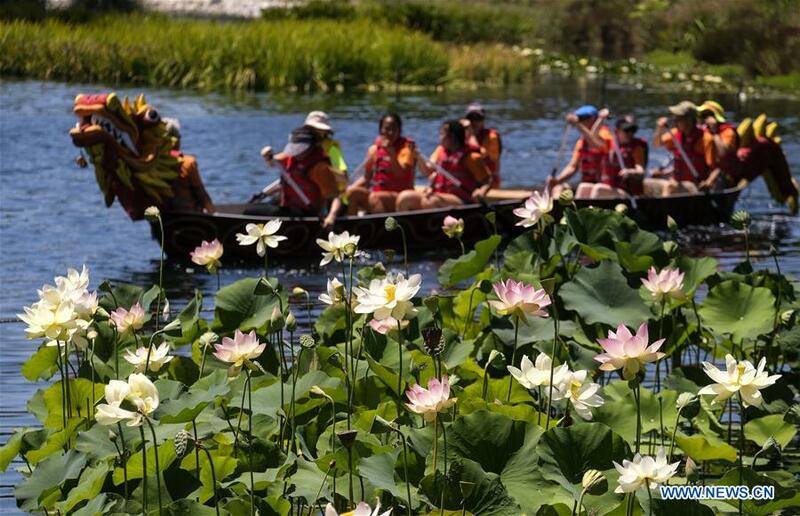 Premier Li Keqiang has stressed sustainable development and the improvement of people's livelihood while visiting southwest China's Tibet Autonomous Region. 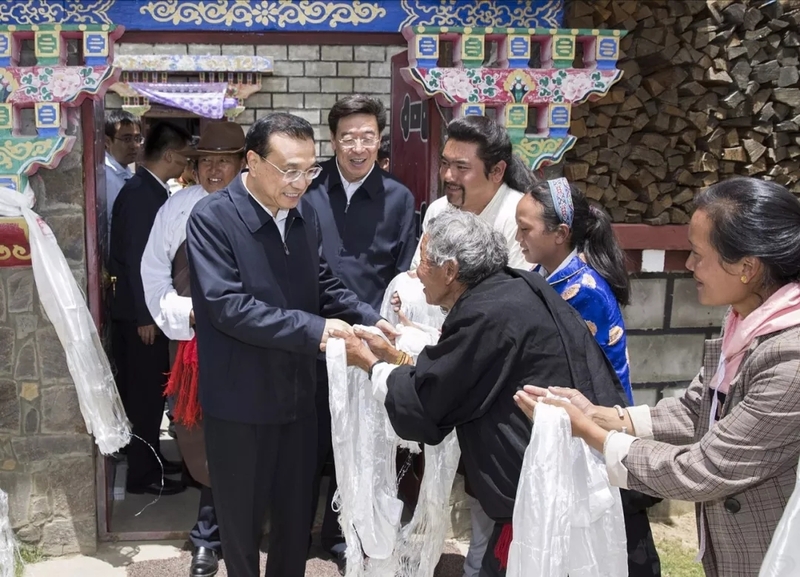 Premier Li Keqiang visited a village in Linzhi on July 25, the first stop of his inspection tour to Southwest China’s Tibet autonomous region. 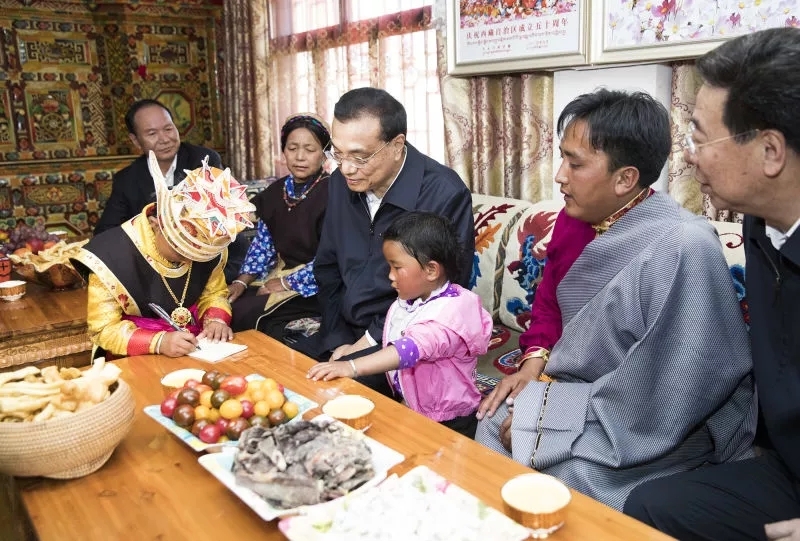 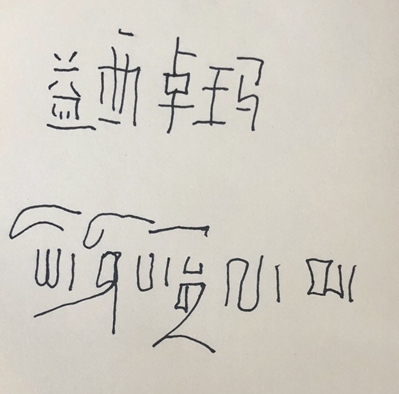 Premier Li Keqiang received a special present from a 6-year-old girl at a villager’s home in Linzhi, Tibet autonomous region, on July 25. 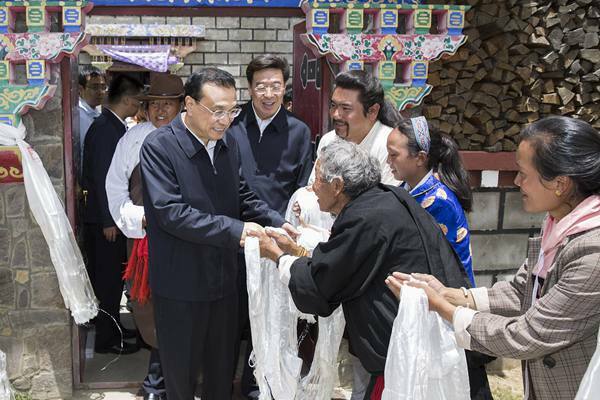 Chinese Premier Li Keqiang made an inspection tour in southwest China’s Tibet Autonomous Region on July 25.